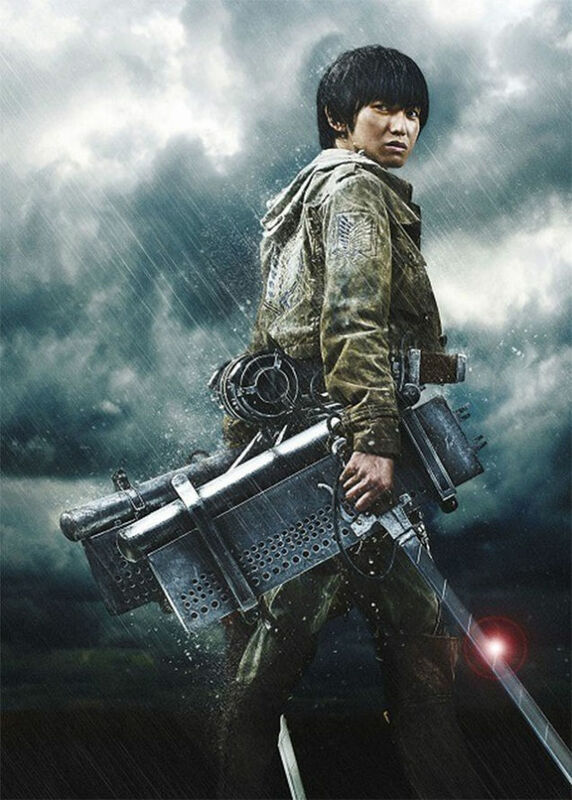 Based on the manga and anime versions, “Attack On Titan” is coming to the big screen next year as a two film deal, both being released in the summer of 2015. 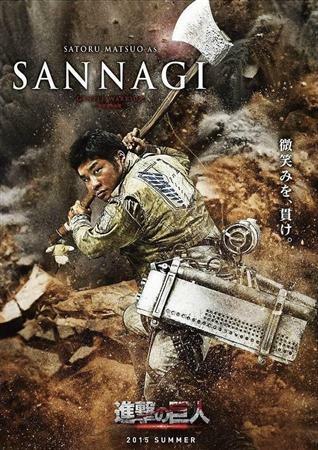 Set in a world where the remains of the human population live inside cities surrounded by enormous walls due to the sudden appearance of the Titans, gigantic humanoid creatures who devour humans seemingly without reason. 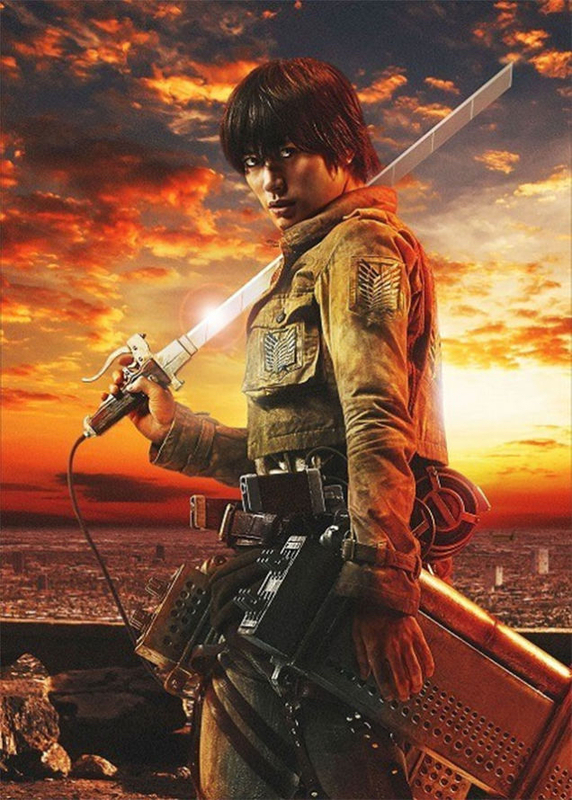 The story centers around the life of Eren Jaeger and his adoptive sister Mikasa Ackerman, whose lives are changed forever after the appearance of a colossal titan brings about the destruction of their home and the death of their mother. 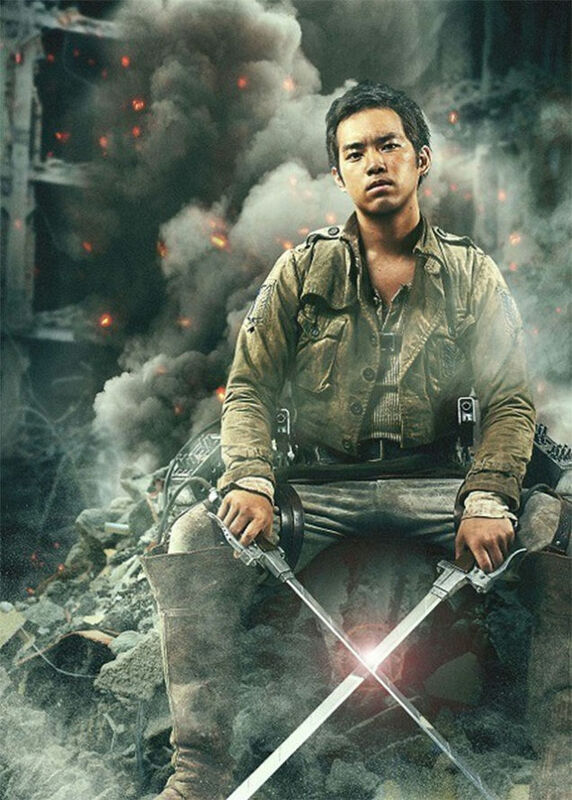 Now we have our first character posters for the films and they look pretty damn cool. 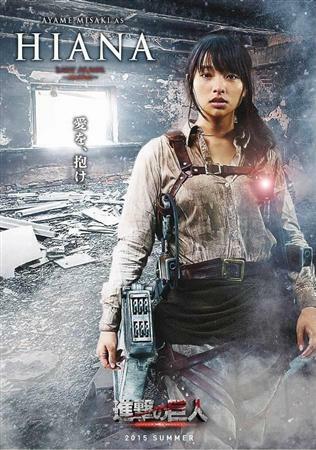 The film is being shot on “Battleship Island” located off the coast of Nagasaki. Take a look at the image and let us know what you think down in the comments section. 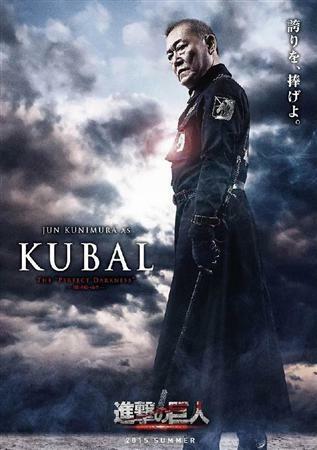 The movie is highly anticipated by fans of the manga and anime versions. 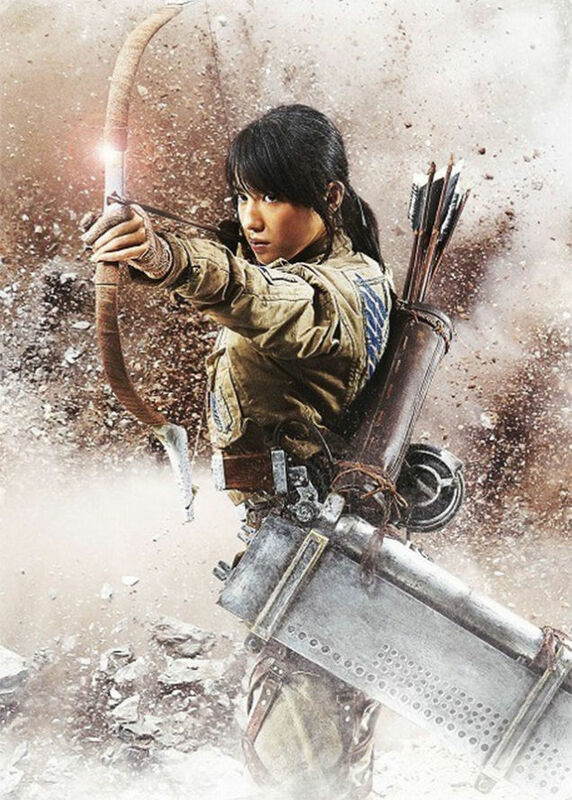 There will be similar elements in the film from both earlier versions as well as some new characters created for the live action version. 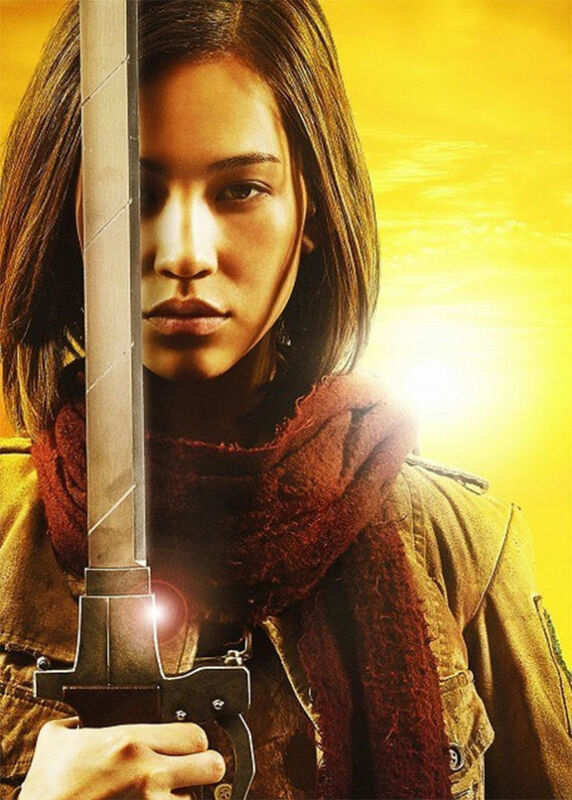 Based off this picture alone we are declaring our crush on Mizuhara Kiko, the 24 year old Korean-American model/ actress who plays Mikasa in the films. 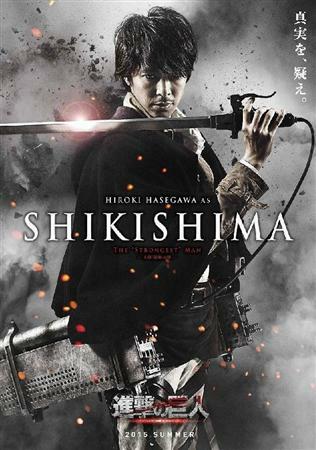 The film also stars Miura Haruma as Eren, Shu Watanabe as Fukushi, Ayame Misaki as Hiana, and Rina Takeda as Lil. 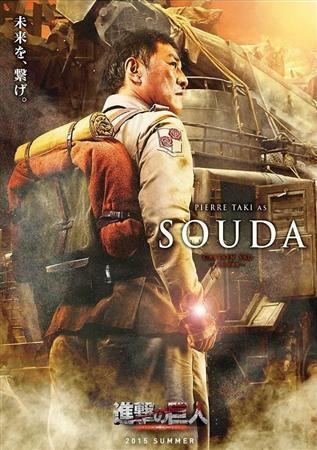 We are really liking the look of this one so we are eagerly anticipating the trailer. There is no trailer for this film YET but stay tuned because as soon as it drops we will be sharing it with you. 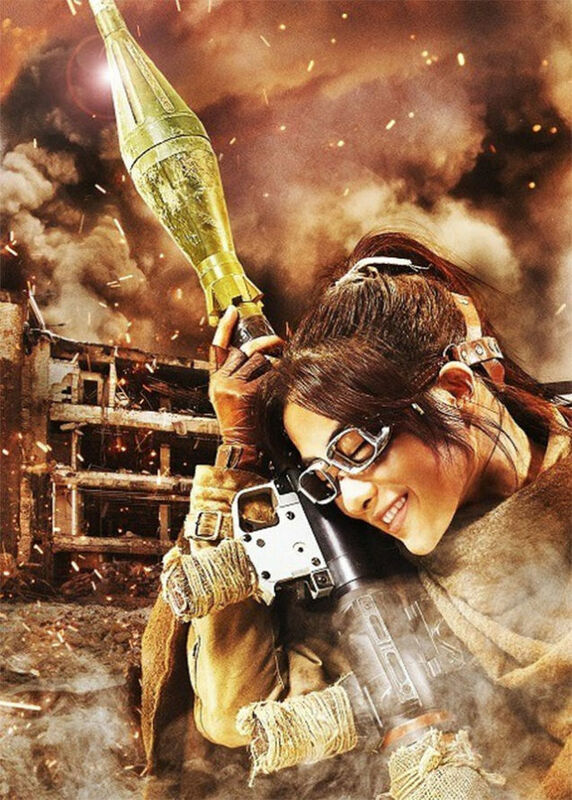 Our fingers are crossed that this one will match up to the anime version which, is no small task because it was awesome. 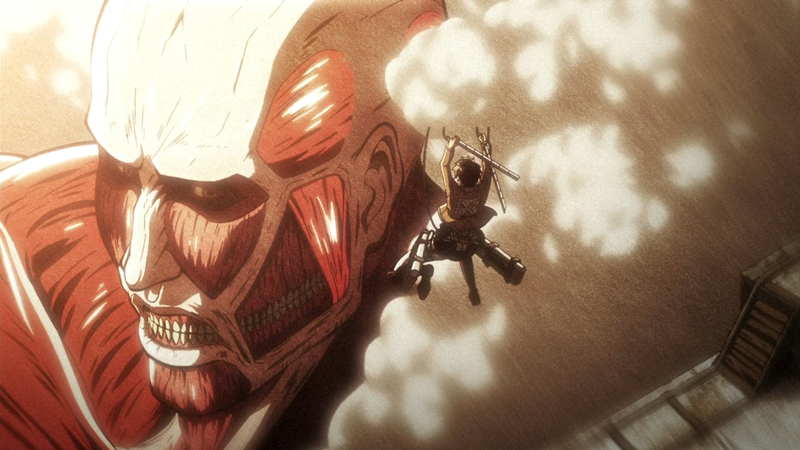 “Attack On Titan” opens in theaters Summer 2015. 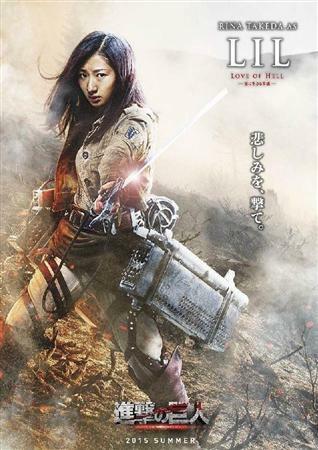 This entry was posted in Movies, Posters and tagged anime, Attack on Titan, character posters, live-action film, manga, Mizuhara Kiko. Bookmark the permalink.